July 11, 2017Comments are closed. The stipend is dedicated to the memory of an outstanding computer scientist who worked in the fields of logic in computer science, computer-aided verification, software engineering, and computer security. 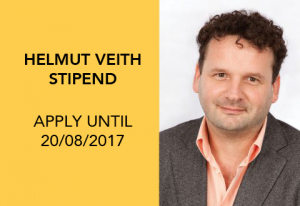 Students who are awarded the Helmut Veith Stipend, which is co-funded by TU Wien, receive EUR 6000 annually for a duration of up to two years. In addition, all tuition fees are waived. Recipients of funding must demonstrate good progress during their studies and will have to reside in Austria during term time for the duration of their studies. The extended application deadline for 2017 is November 30.